Created over 100 years ago from a non-descript patch or farmland, Oakmont has since hosted more major championships than any other course apart from Augusta National, which has a slight advantage considering the fact it is the only courses which hosts a major on an annual basis. 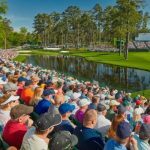 Located near Pittsburgh’s northeast suburbs of Plum and Oakmont in the state of Pennsylvania, this brutally difficult golf course has not just hosted US Opens, but PGA Championships, Women’s US Opens and US Amateur Championships too. As well as being regarded as one of the world’s best golf courses – more on that later – Oakmont also has a habit of producing winners, at least as far as the major championships it’s hosted, from the very top drawer of elite golf, with the list of previous winners here reading like a who’s who of golf legends. 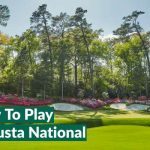 Ben Hogan, Jack Nicklaus and Ernie Els have all claimed the US Open title on this historic course and even the players who have just missed out on glory aren’t bad either, with Arnold Palmer and Tiger Woods both having missed out by the finest of margins. Oakmont has also been the scene of a number or significant moments in golf history. Jack Nicklaus claimed the 1st of his record 18 major championships here, and Johnny Miller played what is widely regarded as the finest round of golf in major championship history, firing a blistering 63 that included just two missed fairways, hitting every single green in regulation, and no less than nine birdies…all on the toughest course which of course had been set up to exacting standards for golf’s toughest test; the US Open. 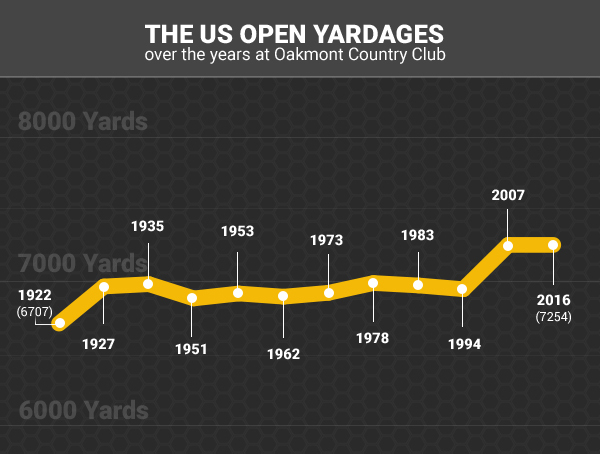 This coming week will be the 9th time Oakmont is playing host to The US Open. 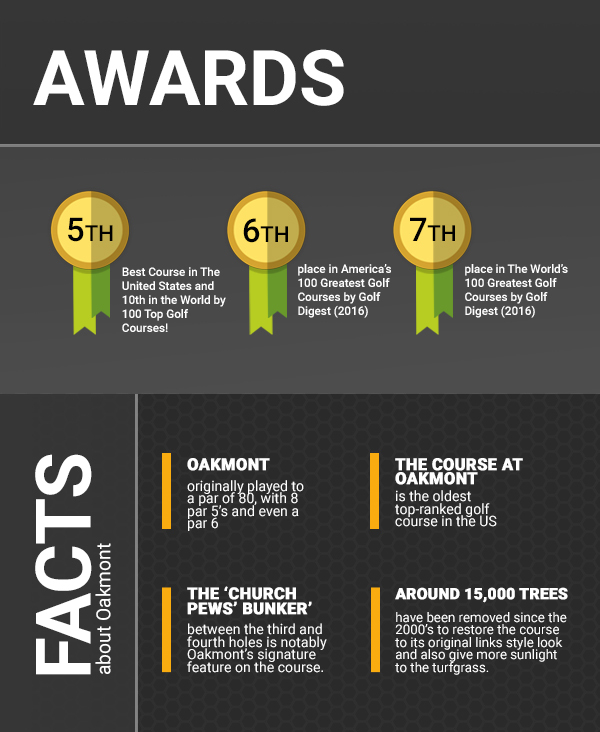 Apart from Augusta, Oakmont has hosted more major championships than any other course in the United States. We now have look at all the previous tournaments that have been staged at Oakmont Country Club. Oakmont originally played to a par of 80, with 8 par 5’s and even a par 6, but in 2016 it will take a more traditional form, with a par of 70 and a total yardage of 7,254. 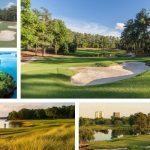 That yardage has changed over the years when various US Opens have come to town, but not as much as you might expect, especially considering the tournament was first staged here in 1922. Here’s a closer look at just how much length the USGA have had to add on to Oakmont since then…it seems Oakmont has never needed much tweaking in order to test the world’s best! 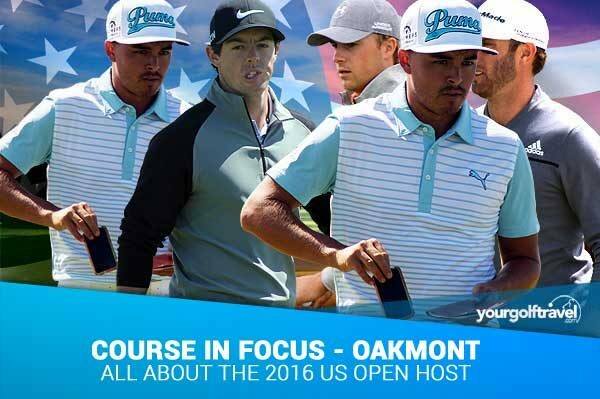 Just how tough is Oakmont? You can hit 72 greens [in regulation] in the Open at Oakmont and not come close to winning.